The vicious Zimbara, who intends to rule the world and spread the lair of darkness, frees his brother Kirmada from Atraksh unleashing a swarm of evil creatures. Krishna, aware that only Bheem and his friends can help in saving the world, goes to Dholakpur and explains to Bheem the wrath of Zimbara. 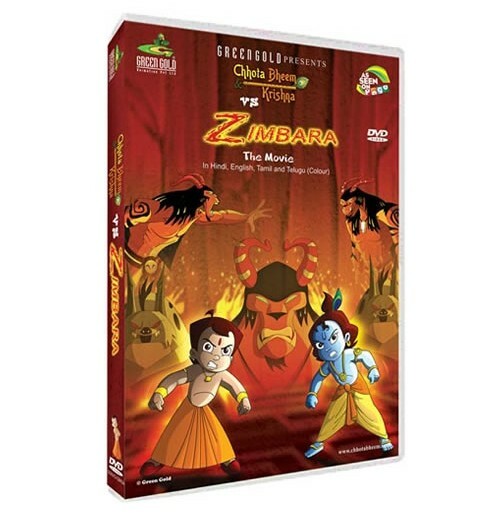 Krishna, Bheem and all his friends journey to the door step of Atraksh saving a group of Ambills and restoring their power on the way.Watch Krishna and Bheem step into the monstrous Atraksh, destroy Zimbara and emerge as saviors of the world!